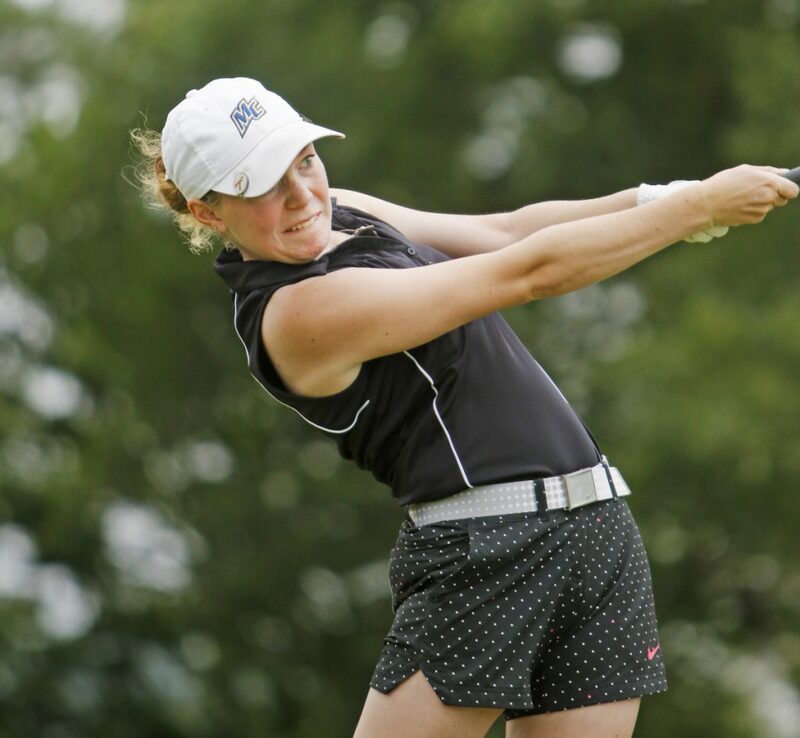 Jordan Laplume of Old Orchard Beach tees off at the 17th hole Monday during the first round of the Maine Women's Amateur golf championship at Rockland Golf Club. Laplume is tied for the lead with Bailey Plourde after shooting 3-over 76. 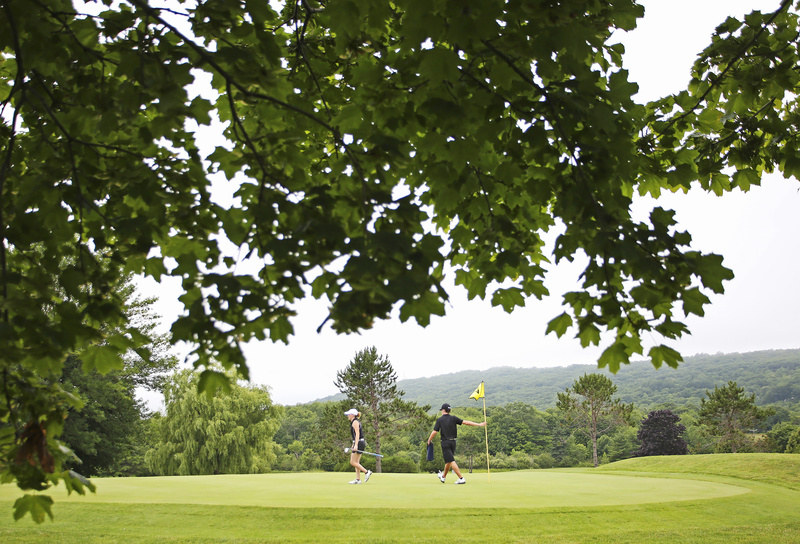 Bailey Plourde of Newcastle and Samoset Country Club watches play with her caddy, Hans Stromberg, on the 17th green during the Maine Women's Amateur golf championship Monday at Rockland Golf Club. Plourde is tied for the lead with Jordan Laplume at 3-over par. 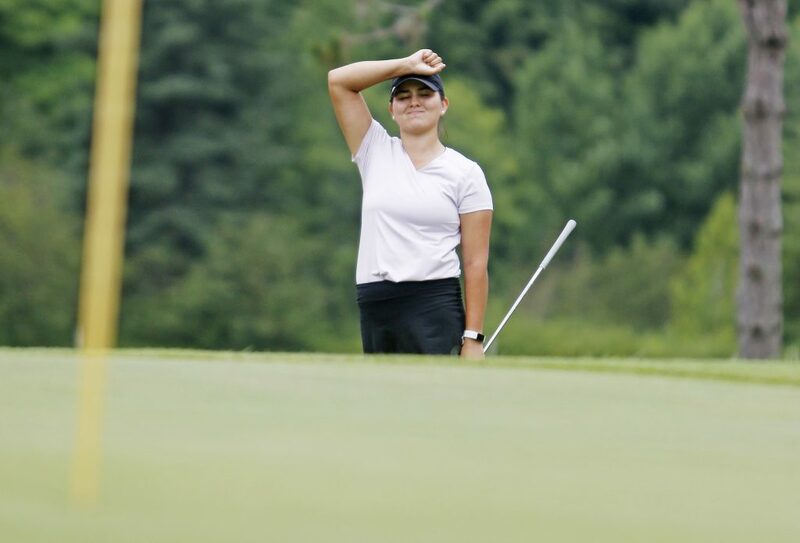 Mara Tiger of Brunswick reacts after putting on the 17th green during the Maine Women's Amateur golf championship Monday at Rockland Golf Club. 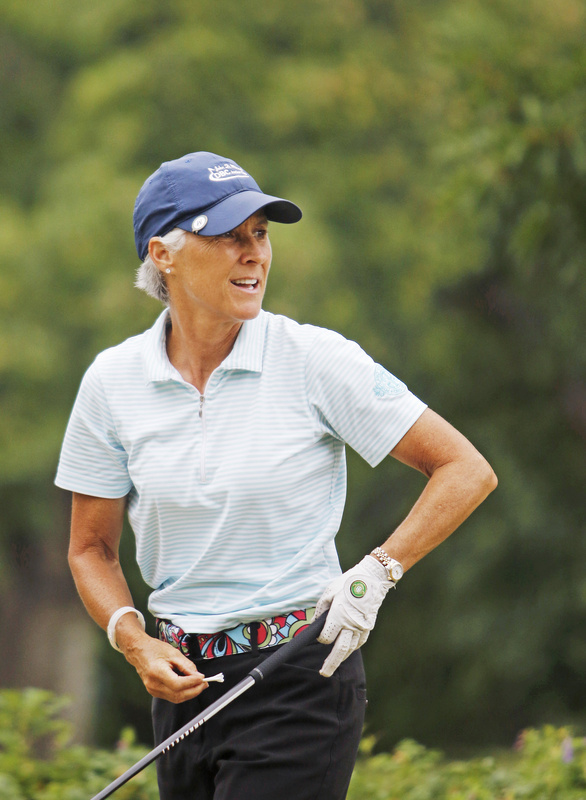 Kristin Kannegieser of Minot and Martindale Country Club watches her drive from the 18th tee at the Maine Women's Amateur golf championship Monday at Rockland Golf Club.  Kannegieser is tied for eighth after shooting 8-over par 81. 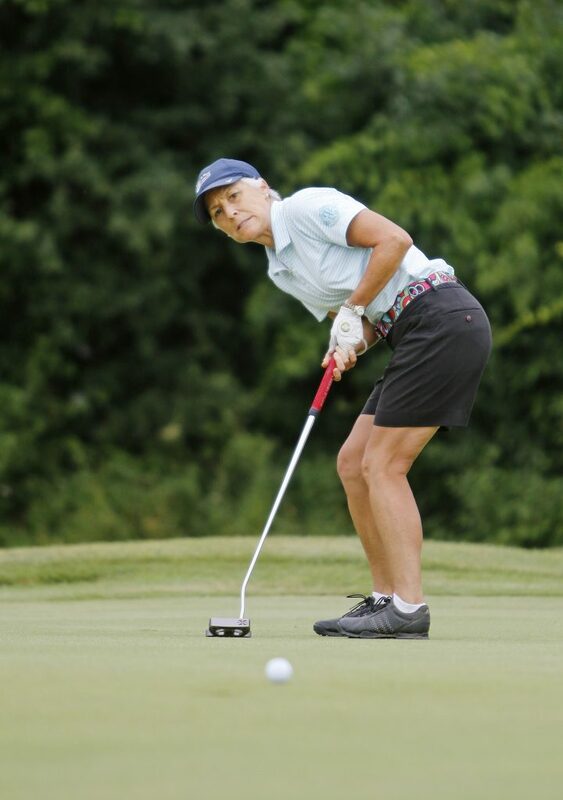 Defending senior champion Kristin Kannegieser of Minot and Martindale Country Club watches her putt on the 18th green during the Maine Women's Amateur golf championship on Monday at Rockland Golf Club. 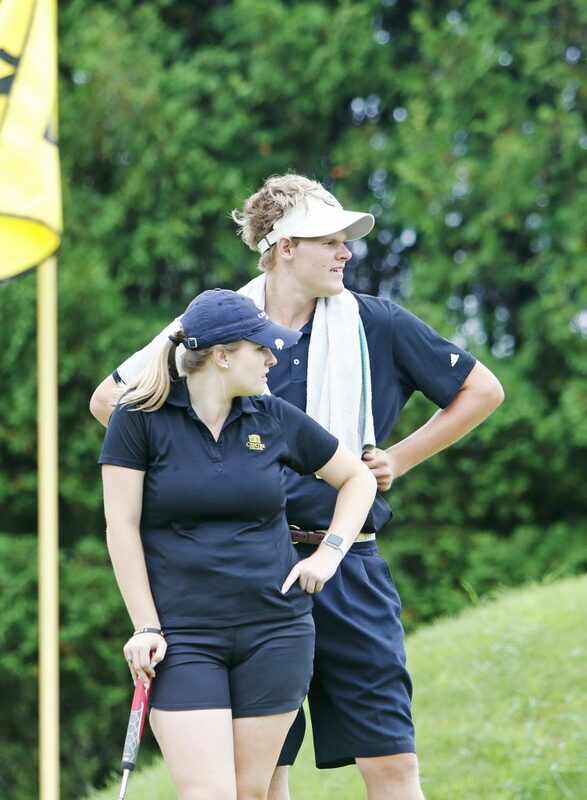 Jordan Laplumb of Old Orchard Beach and Dunegrass Golf Club walks off the 17th hole with her caddy, her twin brother, Jacob, at the Maine Women's Amateur golf championship Monday at Rockland Golf Club. From left, Ruth Colucci of Biddeford-Saco Country Club, Mary Brandes of Woodlands Club, and Carrie Langevin of Portland Country Club make their way to the 18th green during the Maine Women's Amateur golf championship Maine at Rockland Golf Club. 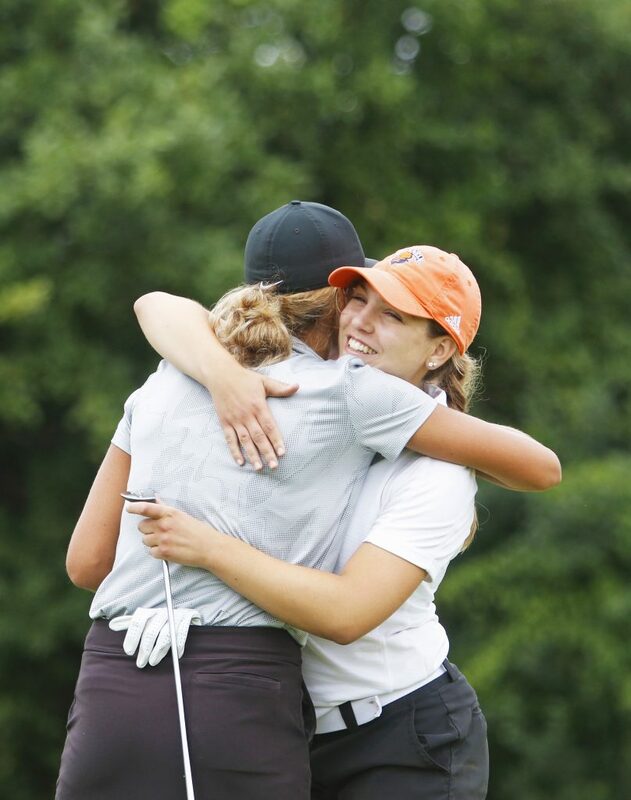 Erin Holmes of Cumberland and Val Halla Golf Course, right, hugs Elizabeth Lacognata of Scarborough and Falmouth Country Club after completing 18 holes in the first round of the Maine Women's Amateur golf championship Monday at Rockland Golf Club.